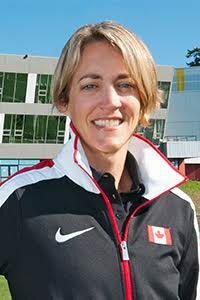 Shallon Olsen has been a registered athlete with the Canadian Sport Institute Pacific and PacificSport Fraser Valley since 2011. Canadian gymnast Shallon Olsen was in her first year of eligibility at the senior level when she reached the vault final at the Rio 2016 Olympics. More than a year later, she’s solidified herself as a key member of the national women’s team heading into the world gymnastics championships, which open Monday in Montreal. Since the Games, the 17-year-old from Surrey, B.C., won silver medals in the floor and vault competitions at her World Cup debut as she continues to build towards a return to Olympic competition. Olsen’s continued growth as a gymnast has earned her the confidence of national team director Dave Brubaker. “She’s really a vault specialist and we’re looking at her having an opportunity to do well, hopefully make a final and possibly emerge from the championships as a medallist,” Brubaker says. Brubaker, speaking from Canada’s training camp in Sarnia, Ont., says his team is poised for success beyond these world championships. Brooklyn Moors of Cambridge, Ont., rounds out Canada’s women’s quartet. Her sister Victoria represented Canada in gymnastics at the London 2012 Olympics. “Brooklyn has an extremely elegant and very artistic floor routine and she also has very dynamic and powerful tumbling, which makes her a very interesting gymnast for the world championships,” says Brubaker, who was Canada’s team coach in London and also worked with Victoria. Olsen’s development has impressed Brubaker ahead of the worlds, which will only feature individual competition. Olsen debuted an Amanar — a roundoff onto the takeoff board, back handspring onto the table and 2½ twisting somersaults before landing — in the qualifying round at the Rio Games. The move is named after Romanian gymnast Simona Amanar for women’s competitors; the men’s equivalent is known as the Shewfelt after Canada’s Kyle Shewfelt. “I think I just need to get more repetition because the more practice I get, the better it gets and the better it’ll be on competition,” Olsen said. She’s also added a Cheng to her repertoire, which consists of a roundoff onto the takeoff board, back handspring onto the table with a half turn entry and a front straight somersault with 1½ twists. “She’s upgraded her second vault and it makes her quite competitive and certainly improves her chances of success at the world championships,” Brubaker says.